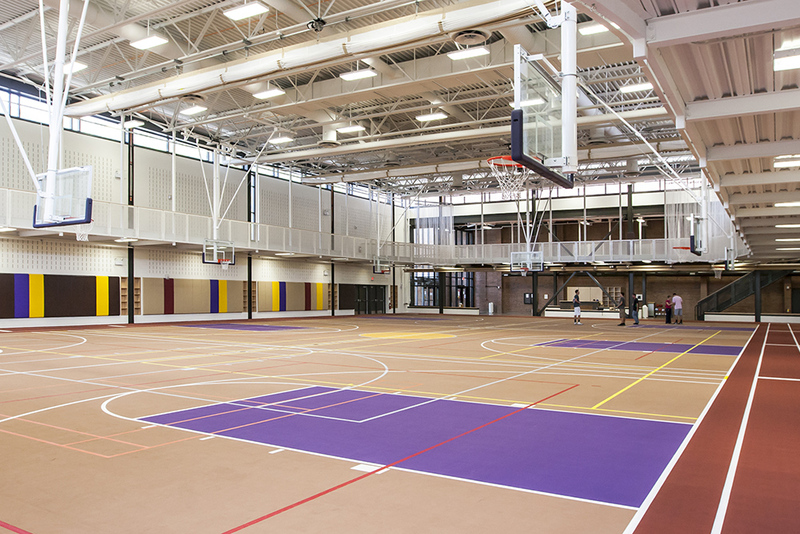 Alfred’s new 28,000sf Health and Wellness Center creates a space dedicated to the recreational athlete, provides a dynamic “see and be seen” experience, and creates social incentives to staying fit by promoting interaction between students. 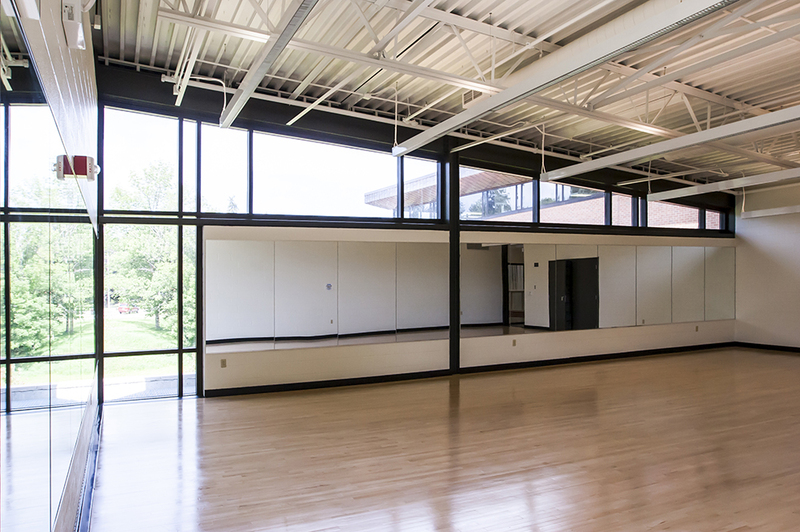 The building houses a 16,000sf gymnasium a 1/11 mile elevated track and a 1,500sf multipurpose room for activities such as yoga, dance, Pilates, and Zumba. Located at the edge of campus, the Center creates an inviting façade for students and visitors, while being respectful to the scale of the nearby residential neighborhood. Durable materials and finishes were selected to create a modern aesthetic that is easily maintained and will retain aesthetic quality over time.